I’ve previously speculated about the possible effect of Daubert on family law. A new court of appeals case, although in a non-family law matter, seems to limit its effect so that it would not apply to most current post judgement matters. 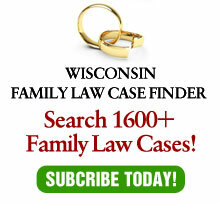 Here is a link to my article as it appears in the Wisconsin Law Journal.